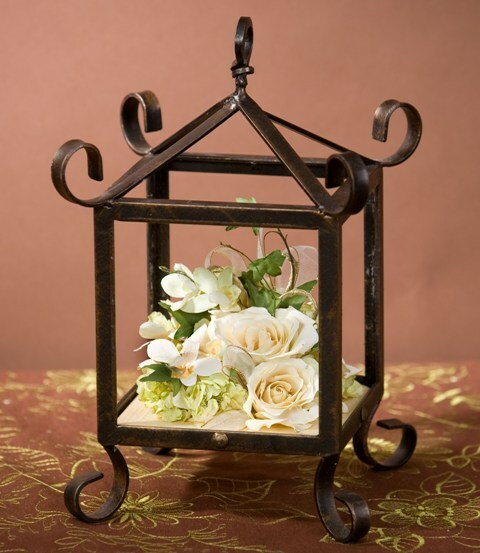 Floral Cluster in Medium Lantern; candlelight silk dupioni interior. 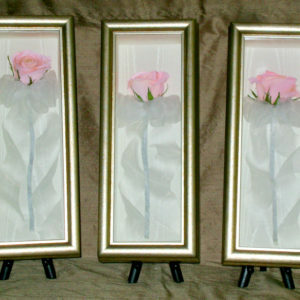 Similar designs in sizes from small to large. 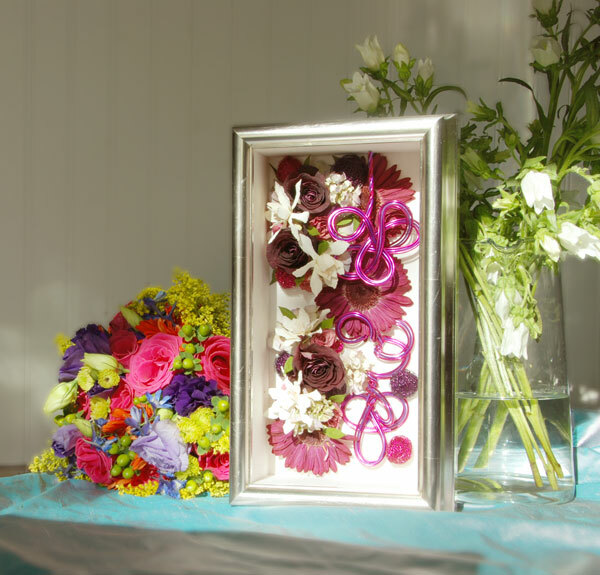 Floral Clusters & All Wired Up! Floral Clusters in 8 x 10 shadowboxes; at left, modern pecan with pewter silk dupioni interior and silver All Wired Up! 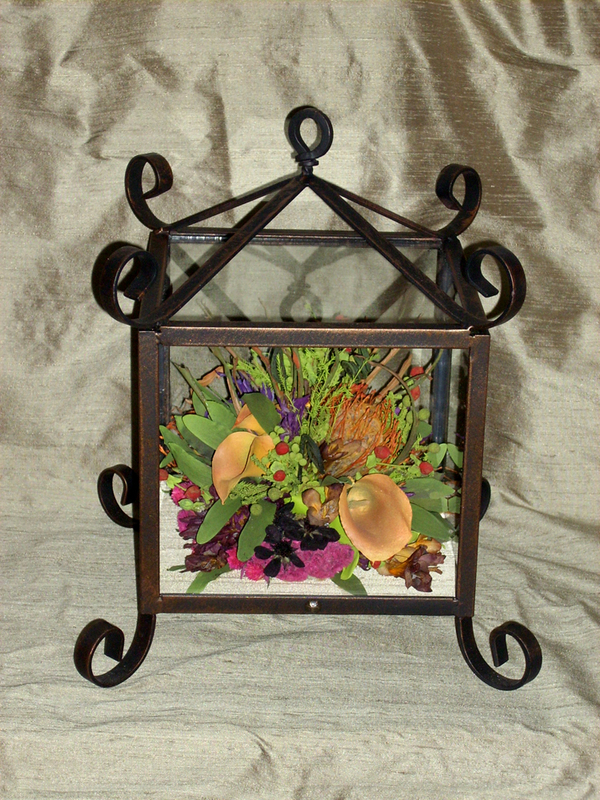 ; at right, modern cherry with moss silk dupioni interior and copper All Wired Up! 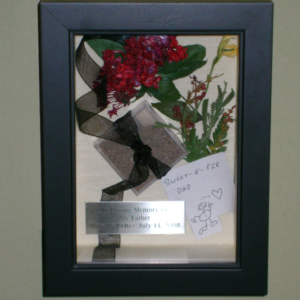 .Similar layout available in any size shadowbox, with your choice of frames and interiors. 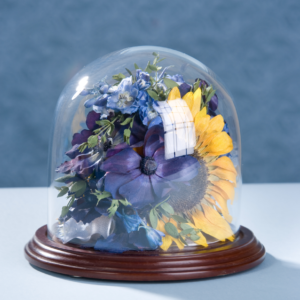 Floral Cluster Design; Small Lantern; buttercream dupioni silk interior. 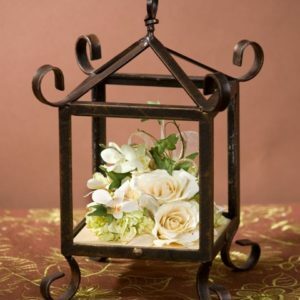 Similar design available in lanterns from small to large. 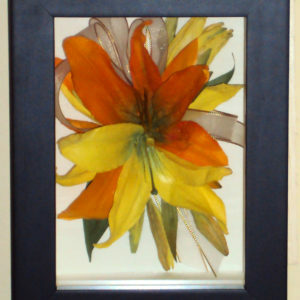 Multi-toned Mondrian; 14 x 14 modern whitewash frame; oatmeal linen interior. Similar layout available in shadowboxes sized 10 x 10 to 14 x 14 and beyond, with your choice of frames and interiors. 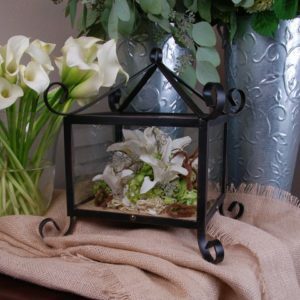 Floral Blanket Design; 10 x 10 antique silver frame; candlelight faille interior. 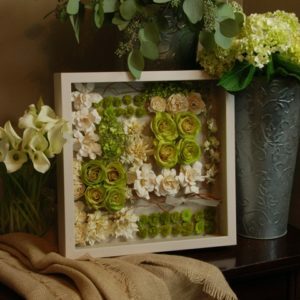 Similar layout available in shadowboxes sized 8 x 8 to 12 x 12 and beyond, with your choice of frames and interiors. Small Dome with a Walnut Base. 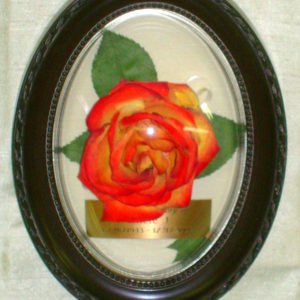 Similar design available in products with your choice of base finish. 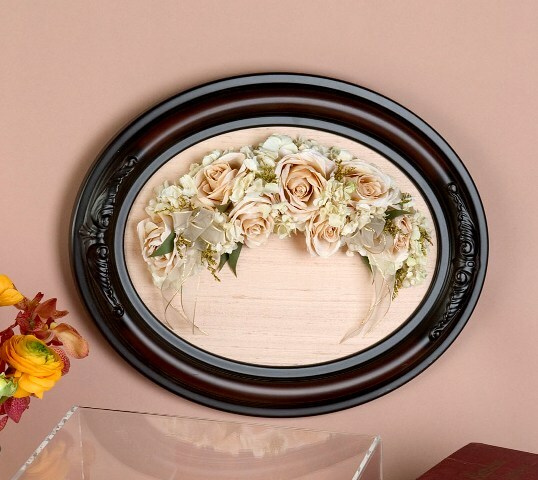 Floral Cluster; Petite Gold 5 x 7 Oval; ivory linen interior. 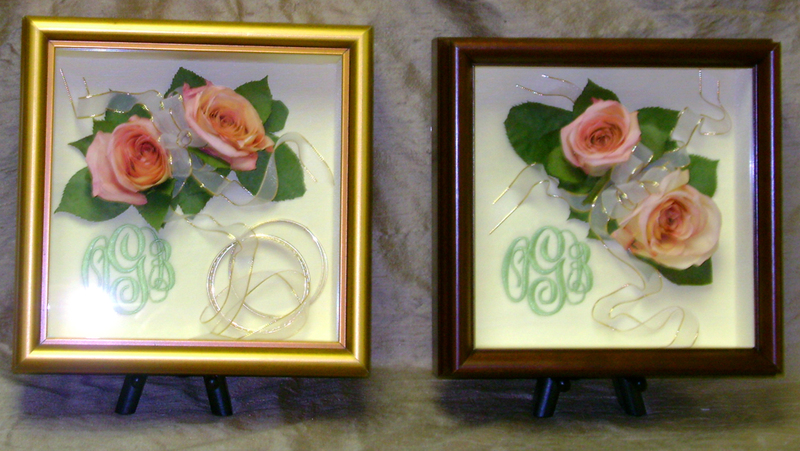 Similar layout available in ovals sized 5 x 7 to 12 x 16 and beyond, with your choice of frames and interiors. 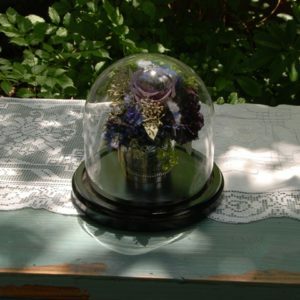 Mini-bouquet in brocade nickel votive container; small tabletop dome in black finish. 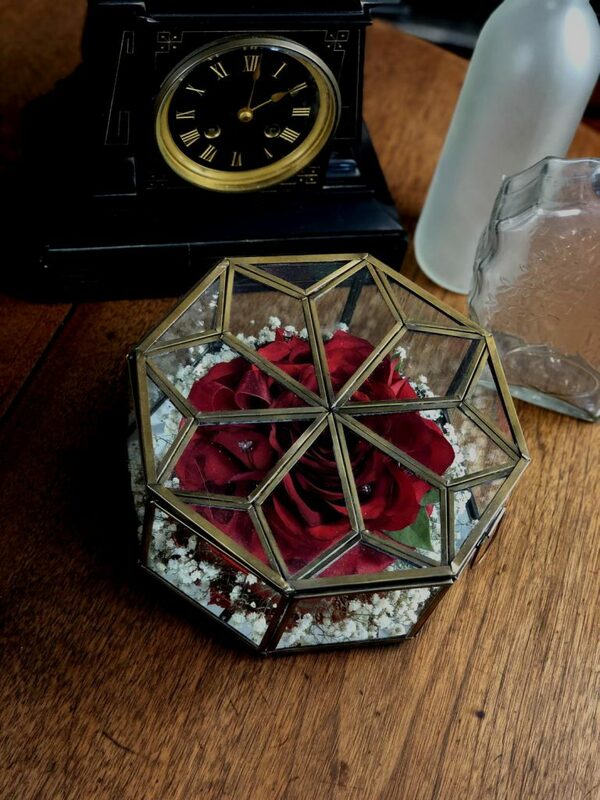 Similar designs available from small to large. 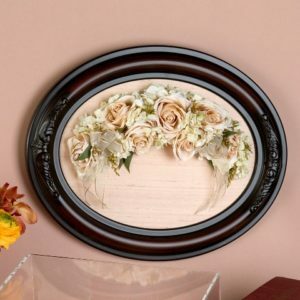 Floral Cluster; 8 x 10 classic antique gold oval frame; first snow paper interior. 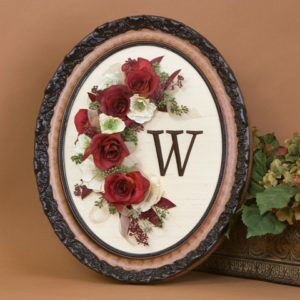 Similar layout available in ovals sized 5 x 7 to 11 x 14 and beyond, with your choice of frames and interiors. 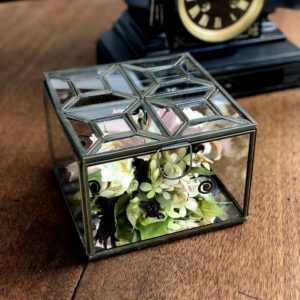 Floral Cluster Design; Hinged Petite Floral Glass Cube. Etched Initial on Lid. 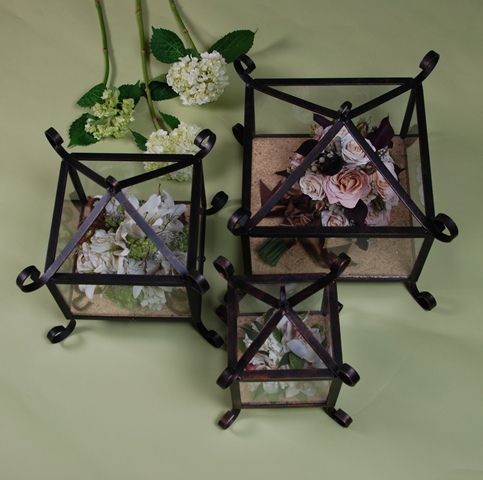 Cubes available in sizes from small to large. 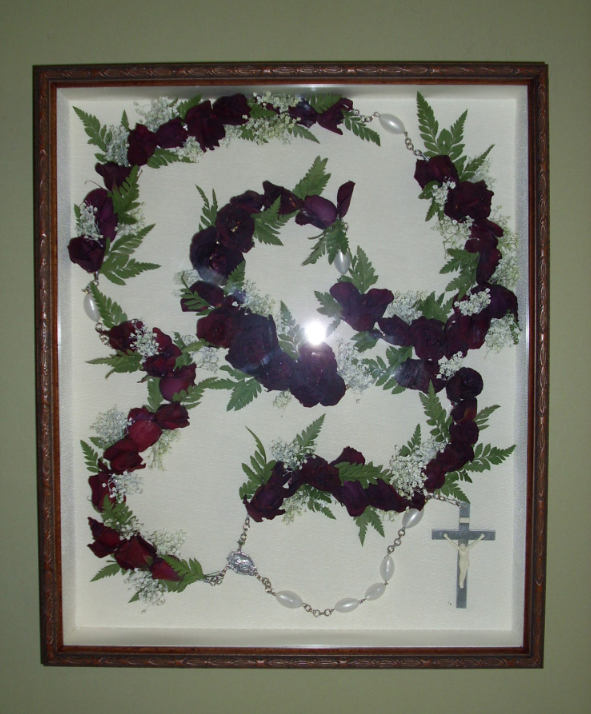 Floral Tiers Design; 12 x 12 Portland Bronze frame; light papyrus paper interior. 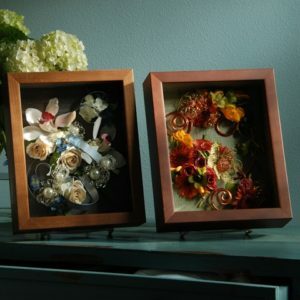 Similar layout available in shadowboxes sized 8 x 8 to 12 x 12 and beyond, with your choice of frames and interiors. 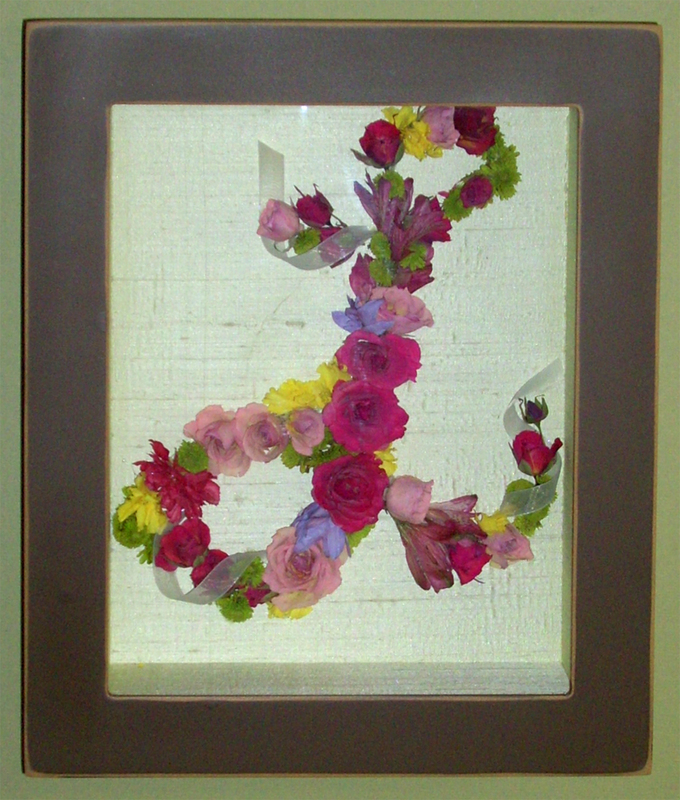 Floral Monogram Design; 11 x 14 Weathered Coffee frame; Celadon Dupioni silk interior. 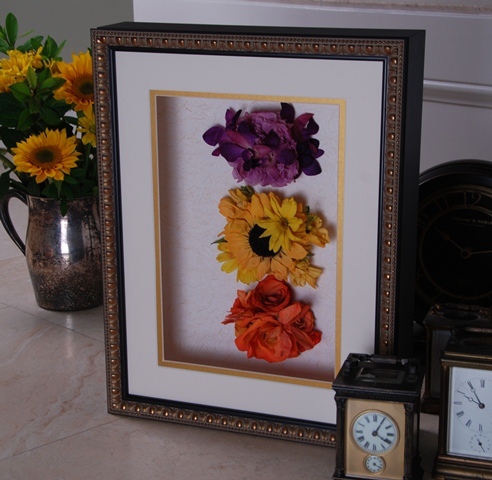 Similar layout available in shadowboxes sized 9 x 12 to 12 x 16 and beyond, with your choice of frames and interiors. Floral Cluster; Medium Lantern; mango paper interior. Keepsake Lanterns in 3 Sizes; clockwise from left, medium lantern, large lantern, small lantern; mango paper interior. 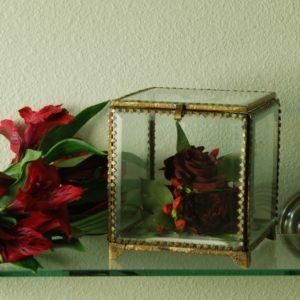 Multi-toned Floral Blanket; 4 x 12 cherry brocade frame; garden silk shantung. 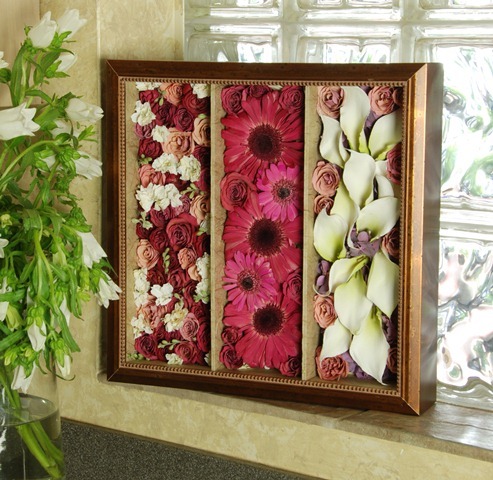 Similar layout available in shadowboxes sized 5 x 12 to 11 x 14 and beyond, with your choice of frames and interiors. Small Silver Pedestal; filagree trimmed base; polished nickel finish; All Wired Up! 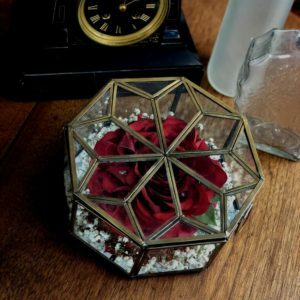 accents. Similar designs available in sizes from small to large. 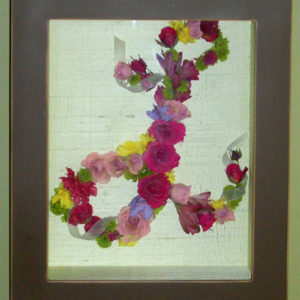 Floral Crescent; 12 x 16 burlwood oval frame; buttercream dupioni silk interior; embroidred initial. Similar layout available in sizes from 8 x 10 up to 16 x 20 and beyond, with your choice of frames and interiors. 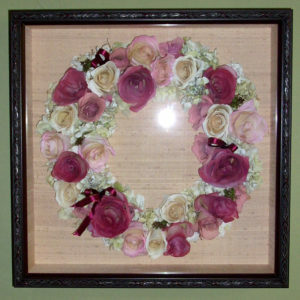 Floral wreath design; 14 x 14 cherry brocade frame; soft pink dupioni silk. 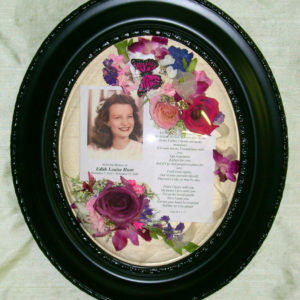 Similar layout available in shadowboxes sized 8 x 8 to 14 x 14 and beyond, with your choice of frames and interiors. 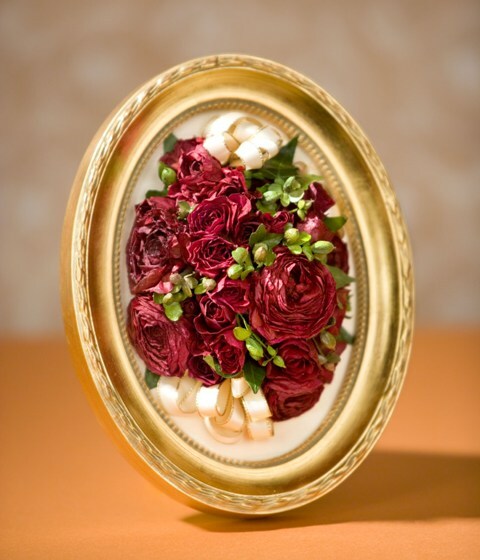 Floral Crescent; 11 x 14 cherry baroque oval frame, buttercream silk dupioni interior. 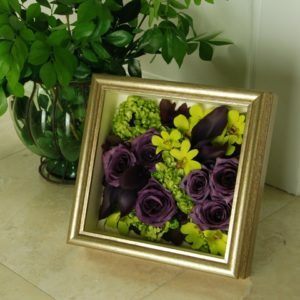 Similar layout available in sizes from 8 x 10 up to 16 x 20 and beyond, with your choice of frames and interiors. 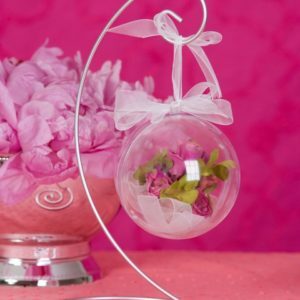 Large Ornament with Silver Stand; white organza ribbon trim. 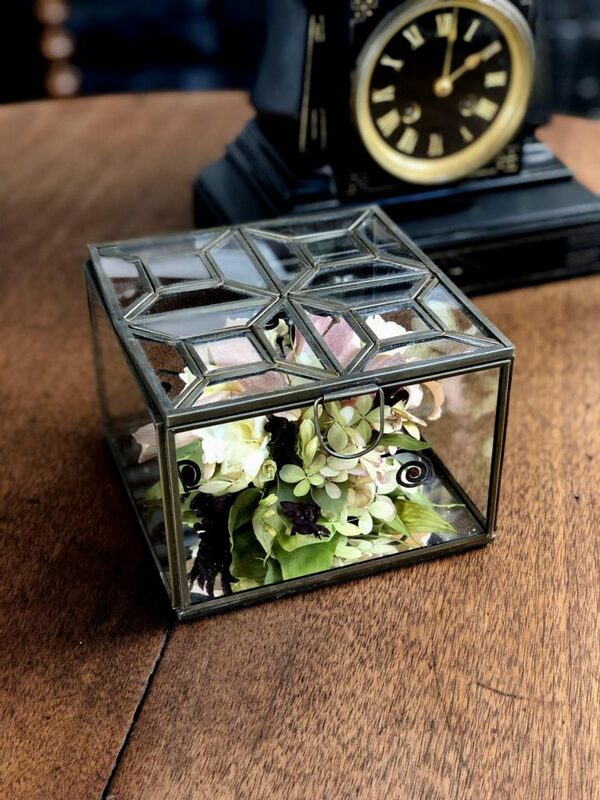 Floral Cluster with All Wired Up! 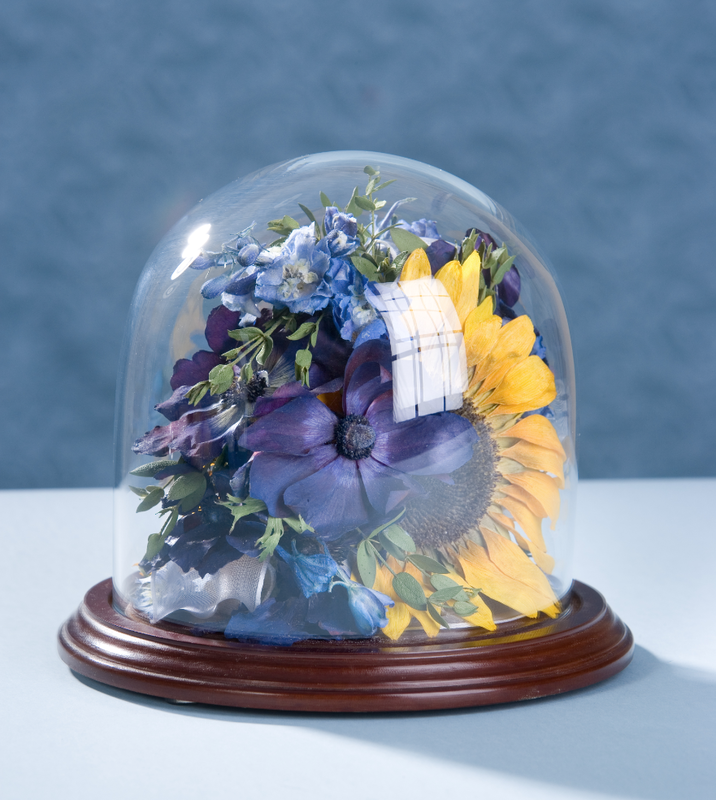 Floral Cluster with All Wired Up! 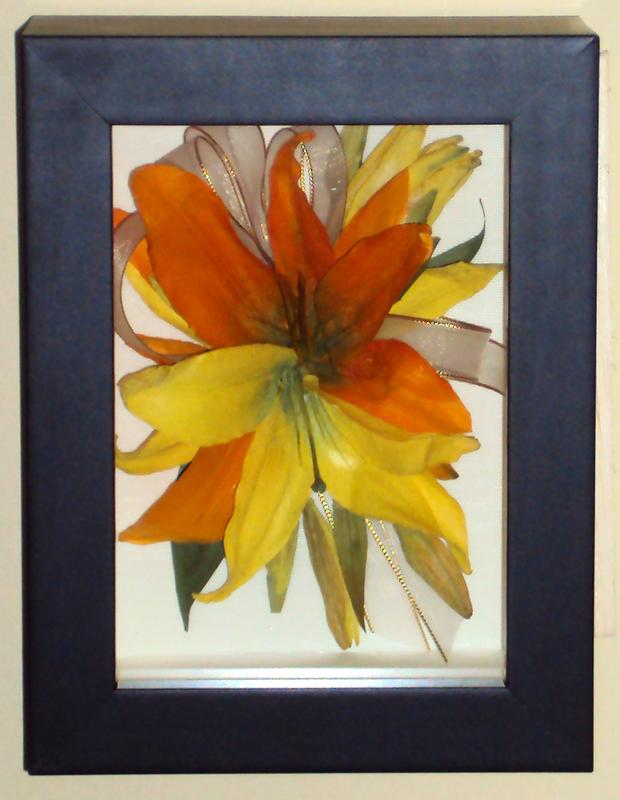 accents; 7 x 12 hollywood silver frame; white linen interior lining. 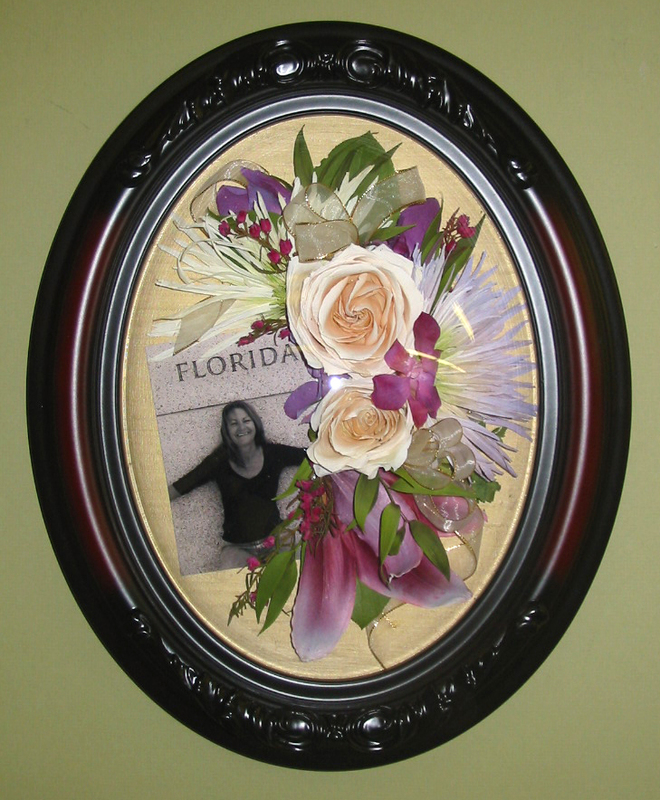 Similar layout available in shadowboxes sized 8 x 10 to 12 x 16 and beyond, with your choice of frames and interiors. 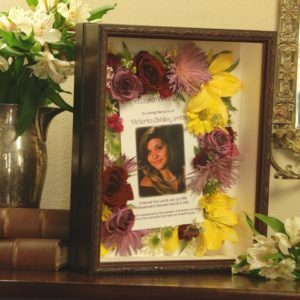 Triple Floral Cluster; 12 x 16 Biltmore frame; first snow designer paper interior; double mat inlay in ivory with soft gold . 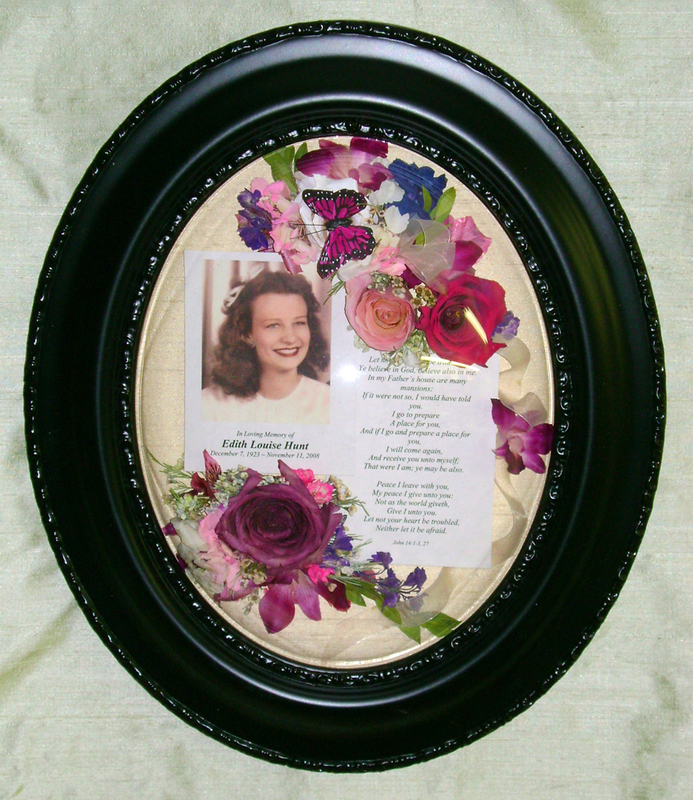 Similar layout available in shadowboxes sized 9 X 12 to 12 x 16, with your choice of frames and interiors. Floral Cluster; 5 x 7 cherry satin frame; candlelight faille interior. 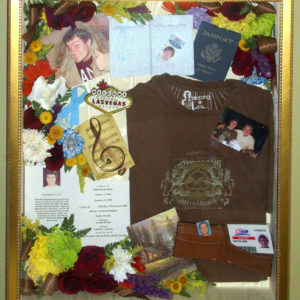 Similar layout available in shadowboxes sized 5 x 5 to 9 x 12 and beyond, with your choice of frames and interiors. 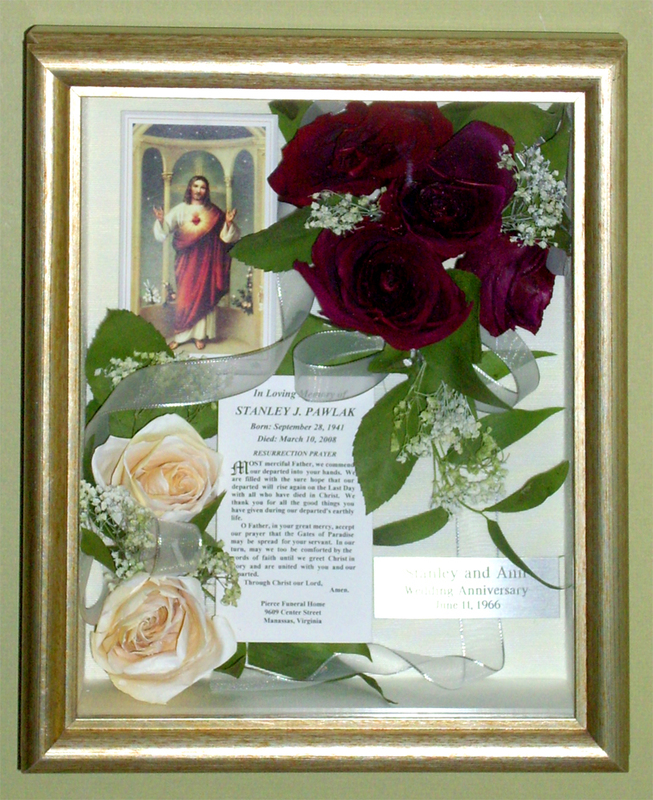 4 x 12 single flower tribute design with prayer card; walnut brocade frame; candelight faille interior. 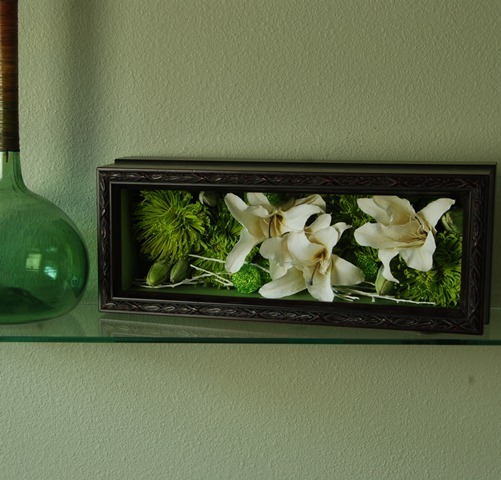 Similar layout available in shadowboxes sized 4 x 12 and up with your choice of frames and interiors. 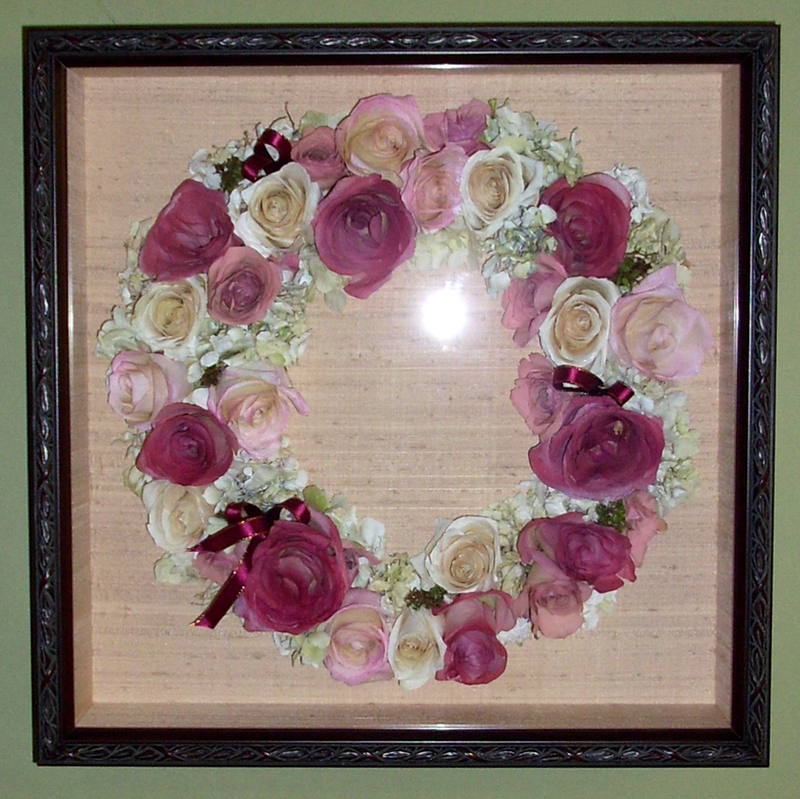 CherishMemory Design;11 x 14 cherry brocade frame; candlelight dupioni silk interior lining. 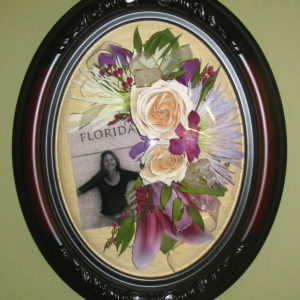 Similar layout available in shadowboxes sized 8 x 10 to 12 x 16, with your choice of frames and interiors. Floral Cluster .. All Wired Up! 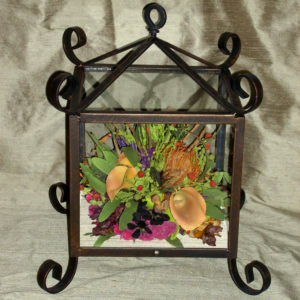 Floral Cluster Design; 8 x 10 modern cherry frame; moss silk interior; Copper" All Wired Up!" 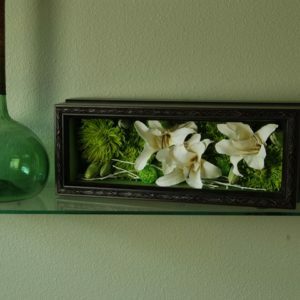 accents. 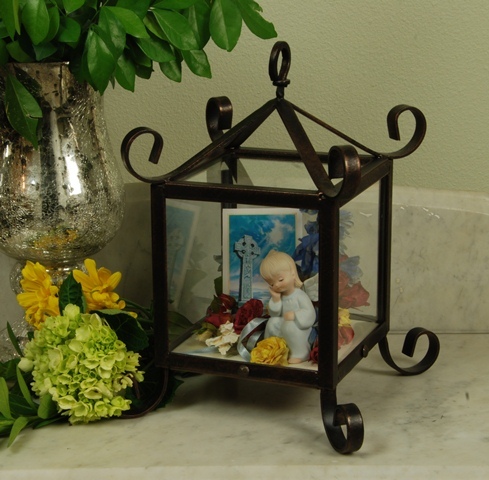 Similar layout available in shadowboxes sizedv8 x 10 to 12 x 16 and beyond, with your choice of frames and interiors. 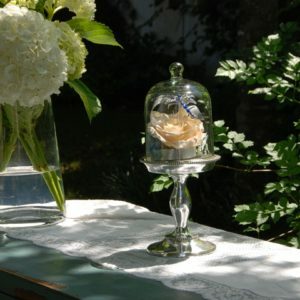 Floral Cluste with prayer card and angel figurine; Small Lantern; candlelight faille interior. 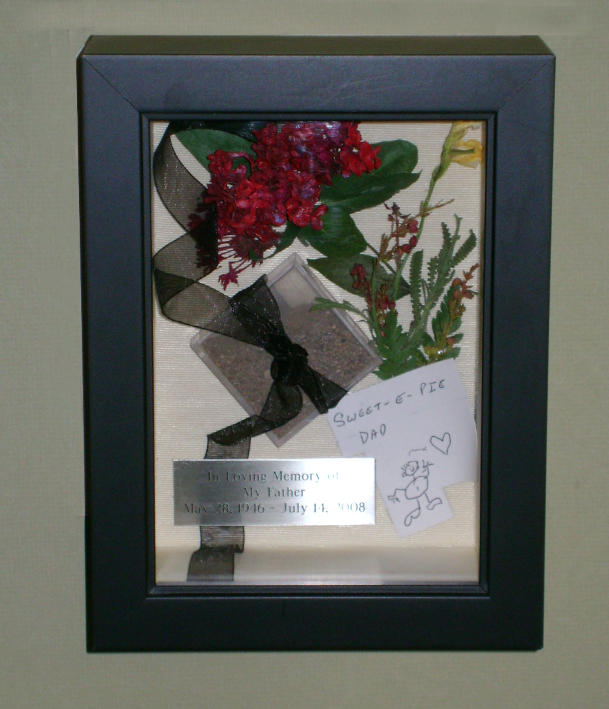 Memorial cherish with personal items and silver engraved nameplate; 5 x 7 black velvet frame; ivory linen interior. Similar layout available in shadowboxes sized 5 x 5 to 9 x 12 and beyond, with your choice of frames and interiors. 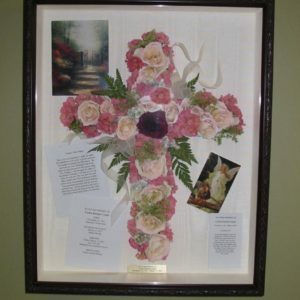 Memorial cross and prayer cards;16 x 20 cherry brocade shadowbox with candlelight faille fabric lining. 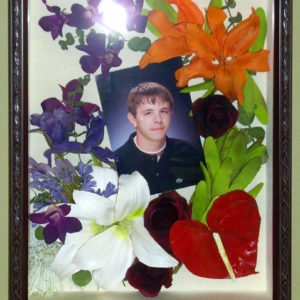 Similar layout available in shadowboxes sized 11 x 14 to 16 x 20 and beyond, with your choice of frames and interiors. 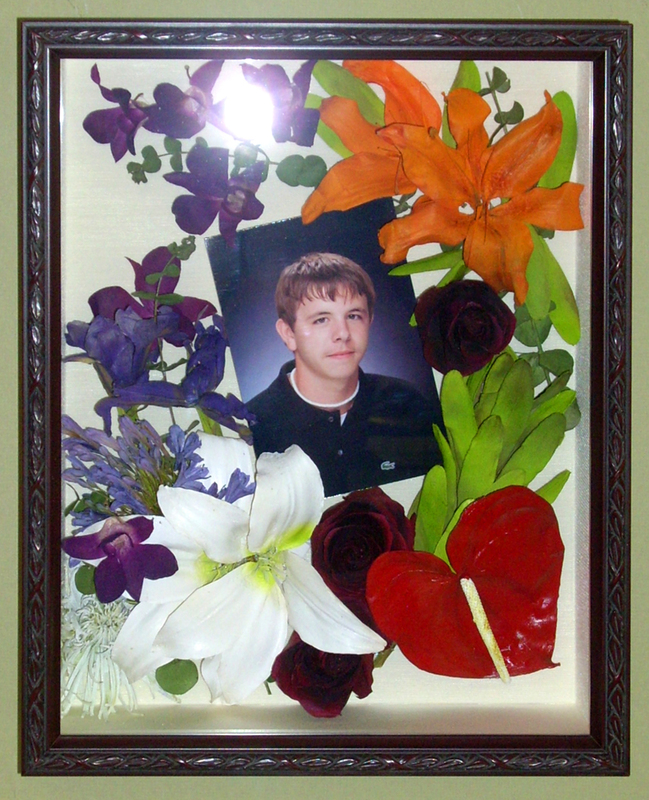 Memorial cherish with photo; 11 x 14 cherry brocade shadowbox with candlelight faille fabric lining. 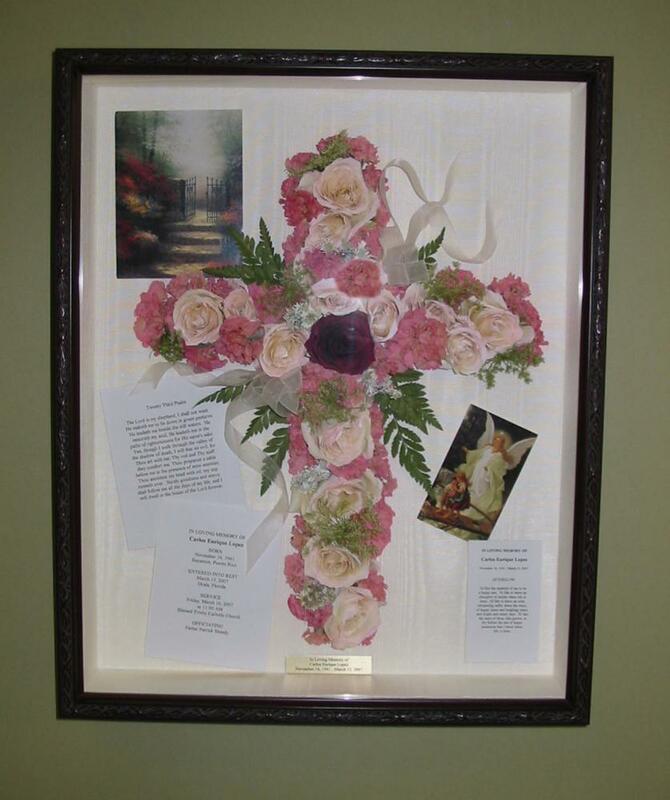 Similar layout available in shadowboxes sized 11 x 14 to 16 x 20 and beyond, with your choice of frames and interiors. 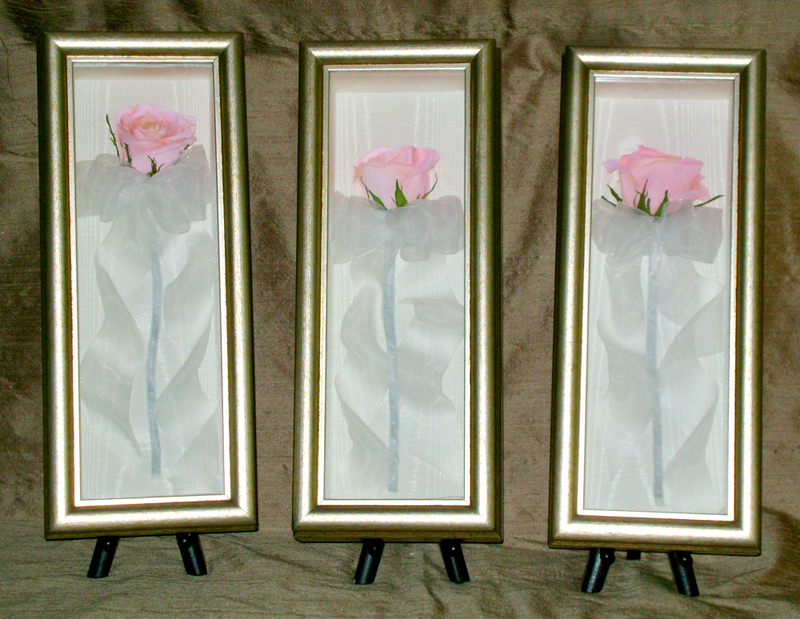 Single rose tributes; each 4 x12 antique silver shadowboxes with candlelight moiré faille. 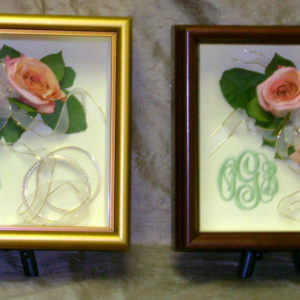 Similar layout available in shadowboxes sized 5 x 12 to 9 x 12, with your choice of frames and interiors. 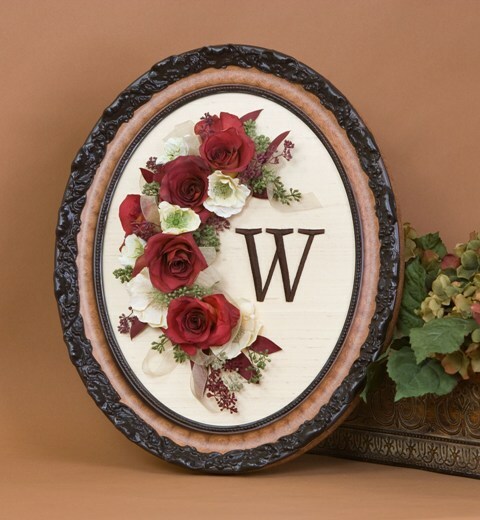 Memorial floral cluster with embroidered monogram; 5 x 5 floral cluster in antique gold and warm walnut, both with candlelight faille fabric lining. 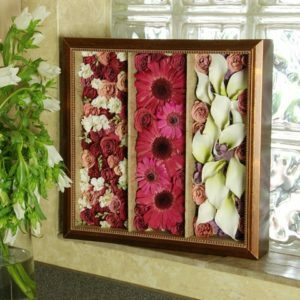 Similar layout available in shadowboxes sized beginning at 5 x 5 sizes and beyond, with your choice of frames and interiors. 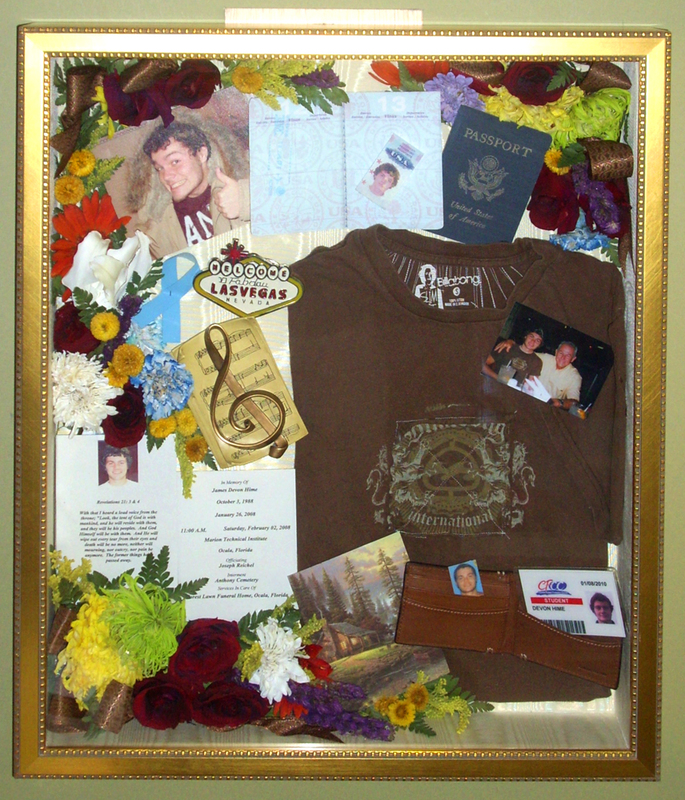 Memory collage with photo and personal mementos; 15 x 18 beaded gold with candlelight faille fabric lining. 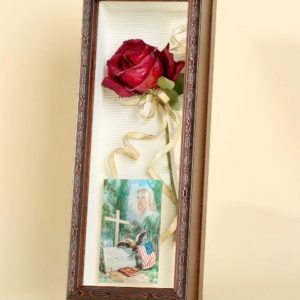 Similar keepsake designs avaialble in shadowboxes sized 11 x 14 to 16 x 20 and beyond, with your choice of frames and interiors. 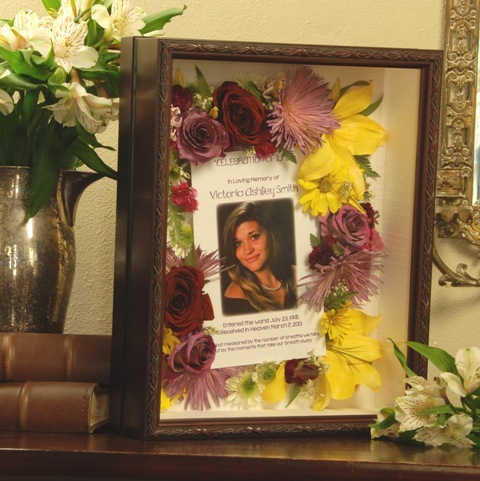 Memorial Cherish design with photo; 9 x 12 baroque cherry oval frame with taupe dupioni silk fabric interior. 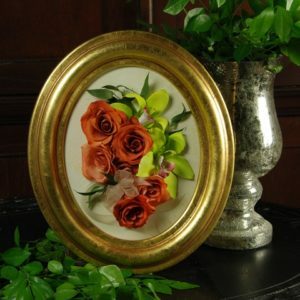 Like designs available in ovals sized from 9 x 12 to 12 x 16, with any combination of frames and interiors. 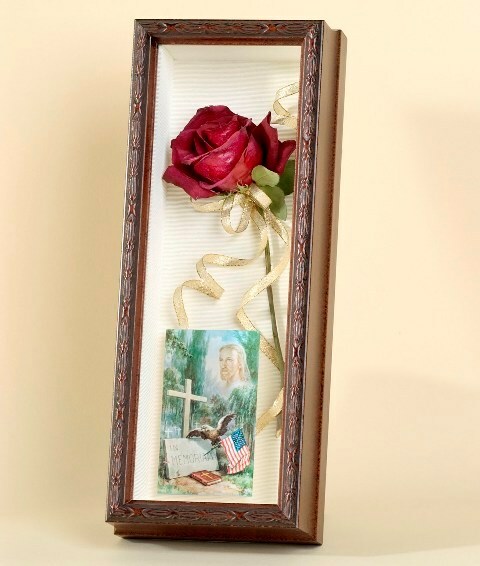 Memorial Cherish design with prayer cards; 9 x 12 antique silver shadowbox with white linen fabric interior. 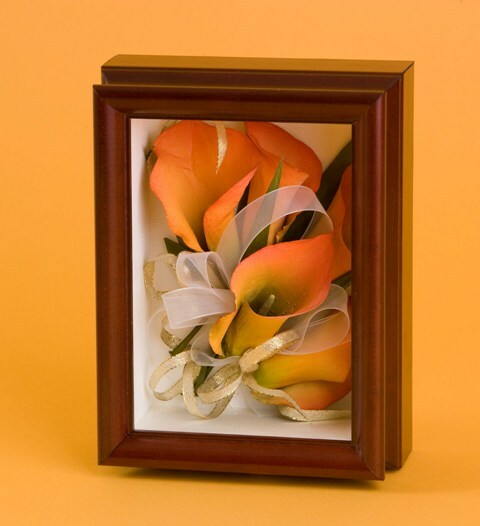 Your choice of framing and interior linings in keepsakes sized from 8 x 10 to 12 x 16 and beyond. 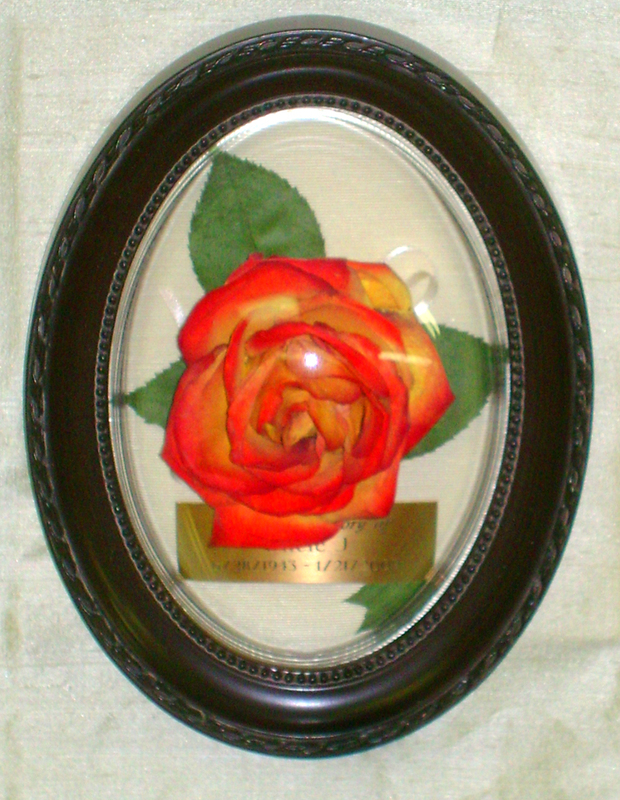 Single rose tribute; 5 x 7 rosewood rope oval with moss dupioni silk interior lining. 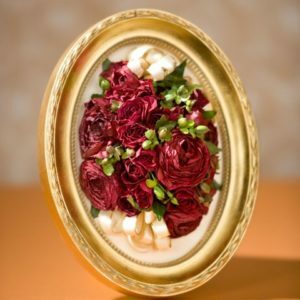 This design available in ovals sized from 5 x 7 to 8 x 10. 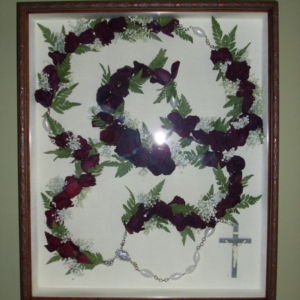 Memorial floral rosary; 15 x 18 walnut brocade shadowbox with candlelight faille fabric interior. 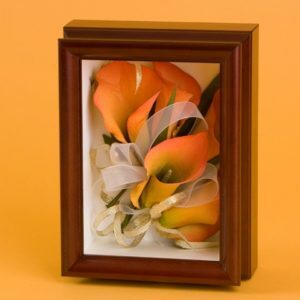 Similar design available in keepsakes sized from 11 x 14. 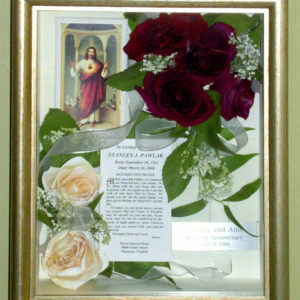 Memorial Chrish with prayer cards; 9 x 12 black vilagree oval with taupe silk dupioni interior lining. 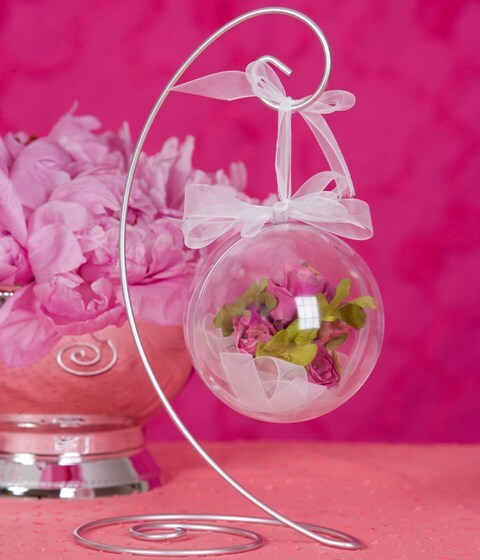 Similar designs available in ovals sized from 8 x 10 to 12 x 16. 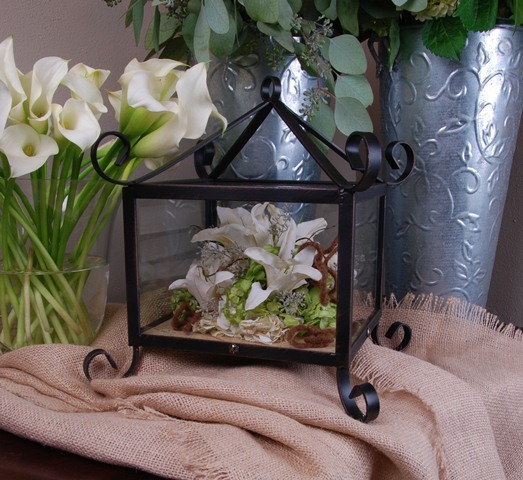 Floral cluster; 5 x 7 black velvet shadowbox with candlelight faille fabric interior. 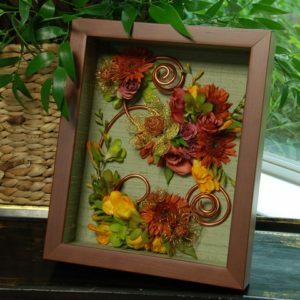 Similar design available in shadowboxes sized from 5 x 7.